MHP had a challenging year with a major project ending but picked up significant new briefs. MHP Communications had a torrid time in 2014, retrenching and resolving issues related to its formation in October 2010. The agency lost 14 per cent of its fee income. While there were no spectacular single account losses, part of MHP’s problem was that previous figures were boosted by a project for the Saudi-based Ariyadh Development Authority. That ended in 2014 and accounted for £1.2m of the £2.8m decline. In addition, MHP’s underperforming Brussels and Edinburgh offices were closed after suffering what chief executive Gavin Devine calls "a significant reduction in fee income". The agency will continue to work with Scottish clients from its London HQ, and announced a partnership with Brussels-based public affairs agency Cabinet DN to look after its European clients. Several senior staff left in 2014. These included MHP executive chair Gay Collins and Mark Cater and Fiona Holroyde, heads of corporate and public affairs respectively. On the up side, Devine says there were no major account losses and many gains. MHP picked up an integrated brief for Danish dairy company Arla as well as work for cash-and-carry giant Palmer and Harvey, the Army, the COI and Astra Zeneca. In September it won the Wine and Spirits Trade Association. 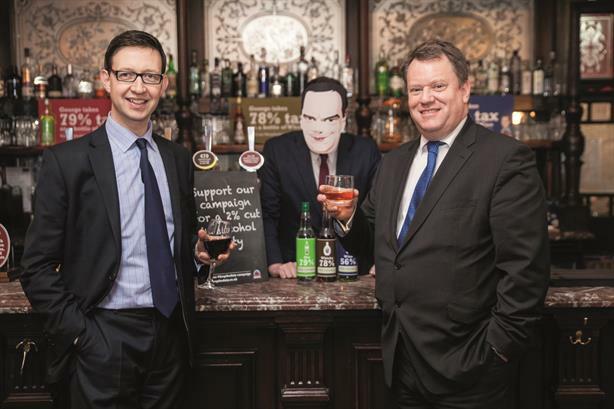 Its debut was the Drop the Duty campaign aimed at persuading the Government to cut the duty on wine and spirits. Hires included Tim Rowntree, former MD of corporate broking at Numis Securities; Jamie Brookes, formerly of BNY Mellon to head financial services; and the Co-operative Bank’s Gillian Tong to the new role of MD of internal comms. Click here to view the Top 150 table, which forms part of PRWeek's Global Agency Business Report.